Red Thread is not usually harmful and usually causes no permanent damage, but it can be unsightly. 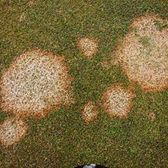 Snow moulds and Fusarium are very common diseases of turf within the UK. They start to appear in the autumn of the year. 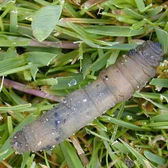 Leatherjackets are the larvae of the European Crane Fly or Daddy Long Legs as they are commonly known. 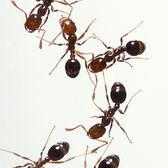 It is not the ants that are a problem, mostly their anthills that are like mini mole hills across the lawn. 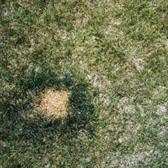 Patches of brown dying grass, although very common, undoubtedly spoil the appearance of a lawn. 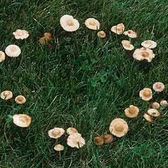 Fairy rings are a group of diseases in turf caused by beneficial fungi that breakdown dead and decaying plant material. 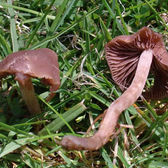 Autumn is when many fungi produce their fruiting bodies; mushrooms or toadstools. 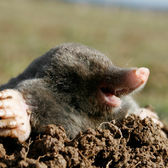 Moles are tiny, annoying little mammals that enjoy burrowing underground, and usually find refuge in places such as gardens or lawns. 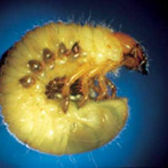 Chafer Grubs are the larvae of the Chafer Beetle. 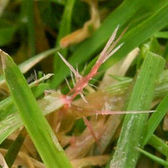 The larvae cause damage to lawns by feeding on the roots of grass plants.